Few people had the gift of self-examination that Bolton had. He was keenly aware of his failings – sometimes to the point of preventing forward motion. 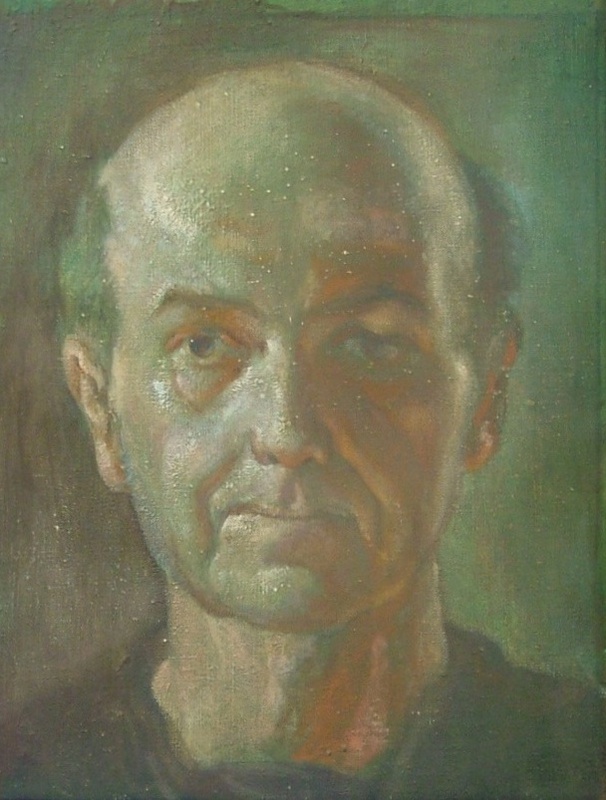 This hard look at himself is undated, but I recall he was working on it in the early 1970s – it was abandoned as were many projects over time – perfectionism produces its own flaws. It is certainly not a lovely image, except that for those of us who loved him it might inspire us to do some soul-searching of our own. I doubt I could be as honest as he showed himself to be here. Suitably for a hard look at oneself it is larger than life-size and is classical painting in the academic fashion as taught at the Pennsylvania Academy of Fine Art where he studied following the Second World War. I pray for Bo regularly and I hope he is praying for me. You are currently browsing the Bolton Morris Church Artist blog archives for May, 2012.